Being a car salesman isn’t for the person that is overly concerned about what people think of them, because there is very few people that respect, admire or envy the car sales professional. In fact the car salesman is often considered a lower form of life. Whether you have been selling cars for years or you are new to the car business you know that building trust is a top priority. 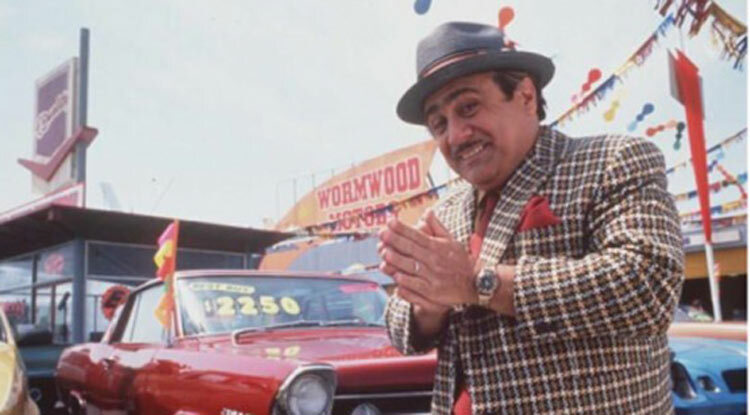 The public’s image of the car salesman is that of the person that’s not to be trusted because they are usually liars, crooks and criminals, but we know better. We are the ones that have to overcome their doubts and earn the trust of our customers before they will believe anything we say or accept any of the guidance we provide. Being a car salesman means that the first impression of every customer you meet and greet will be one of skepticism and suspicion. Even if you were that person that couldn’t tell a lie if your life depended on it, car buyers are not going believe you unless you can earn their trust. Being a car salesman and earning trust is a process that takes time, but you don’t have much time and that’s just one of the reasons that you don’t want to short cut or rush through the sales process. The more time you spend with them without annoying them or putting them to sleep the better so you can earn their trust and breakdown their defenses. Over and over I have said people buy from people. Car salesmen are people and car buyers are people so be a person and not a car salesman. Being a car salesman that is also a person will help you sell more cars. People trust people, but they don’t trust car salesmen so be a person. People will trust someone that they have know for years, but you don’t have years to earn their trust so you have to fast-track your trust building. This simple tip alone will increase your salary because people by from people. One the things that you will hear during your car sales training is that you should mirror your customer. In other words you should become the person that is your customer. Most people like and trust themselves so how could they distrust and dislike you if you are like them? Find ways to relate to your customer. You have a job, you have family, you have a budget and so do they. They might have kids, they might live in your town, they have problems, they have hobbies and so do you. The follow sports, they have likes and dislikes. They are people and you are a person too. So find some common ground and build trust and rapport. You might even make a friend that buys cars that has friends that buy cars. Is your customer positive and upbeat or are they a complainer? Do they like fishing, camping or movies? All of these things can help you build trust. Selling and talking about your incredible product non-stop doesn’t make you a person, it makes you a robot, a talking brochure or a fast talking car salesman. Telling a customer to trust you won’t work because they are telling themselves not to trust you. Telling your customer that you are telling them the truth often makes the customer think that you are lying or that you usually lie, but not this time. If you try to tell them how they should feel they would usually do the opposite. You have to earn their trust the same way you have to earn their business. Put your ego away and become a person that helps people buy cars not being a car salesman that sells cars because people like to buy, but they don’t like being sold. The thought of being sold means that you made them do something that they didn’t want to do. You don’t want them to feel like they are being sold; you want them to buy because they want to buy a car. When a person feels like you didn’t sell them, but simply helped them through the car buying process you will have a happy customer. Happy customers write good reviews, provide great C.S.I. scores, send you referrals, pay more profit and buy more cars. Being a car salesman is all about adapting, adjusting and changing according the customer that is currently in front of you. Be a person that your customer can trust by being a person that just happens to work at a car dealership selling cars helping people buy cars.